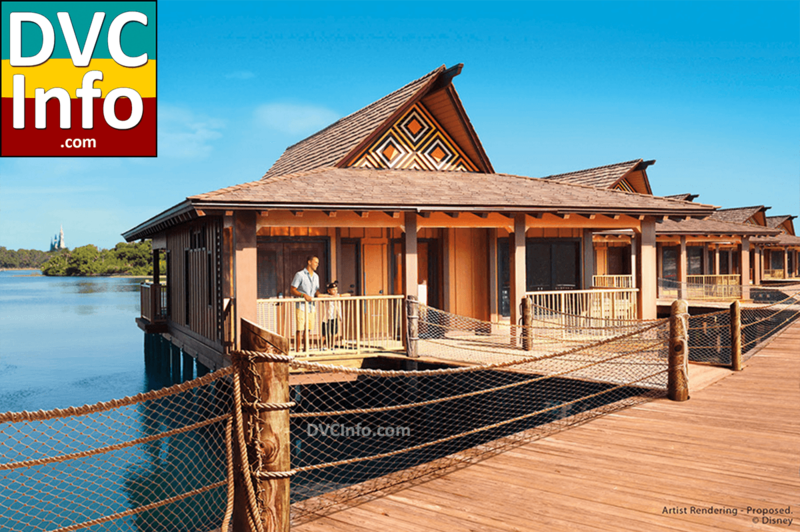 January 7th, 2015 | Celebration, Fla.
Disney Vacation Club will begin initial sales for its newest resort, Disney’s Polynesian Villas & Bungalows, next week. Current Disney Vacation Club Members will be able to purchase real estate interests beginning Jan. 12, and general sales will begin Feb. 9. 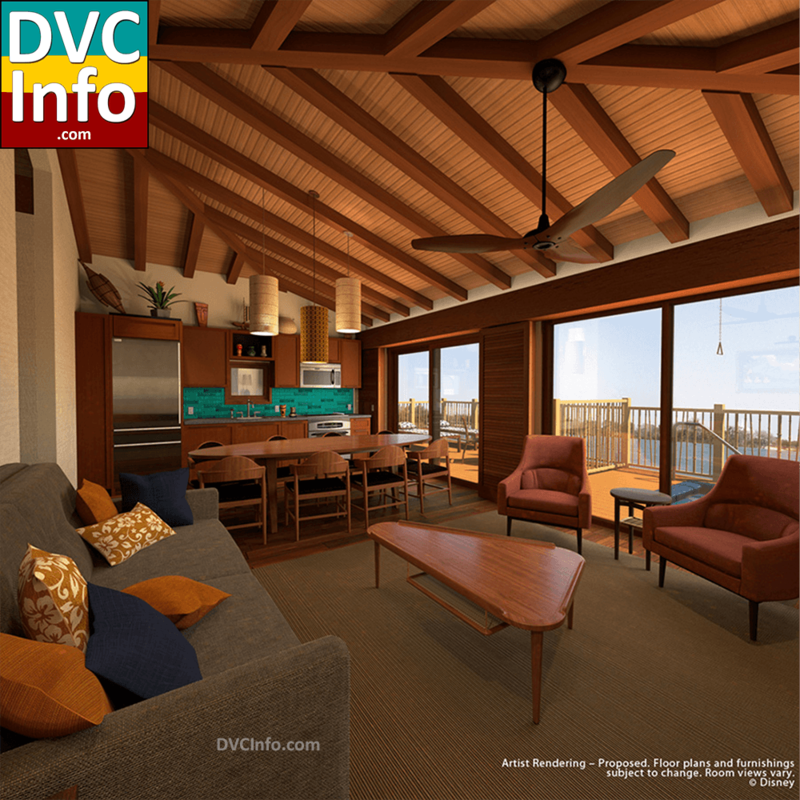 When the first phase opens, scheduled for April 1, the resort will introduce unique Disney accommodations, including Bora Bora Bungalows and connecting Deluxe Studio Villas. Disney’s Polynesian Village Resort, where Disney’s Polynesian Villas & Bungalows is located, began a multi-year reimagining project in 2014. This year, the resort will debut dramatically enhanced feature and leisure pools, as well as a new children’s water play area for Members and guests to enjoy. Trader Sam’s Grog Grotto is also slated to open and, like Trader Sam’s Enchanted Tiki Bar at Disneyland Resort, will feature exotic cocktails and Polynesian-themed small plates in an imaginative setting only Disney could create. Today, Disney Vacation Club announced its next planned project will be at Disney’s Wilderness Lodge, located on Bay Lake at Walt Disney World Resort. The planned project at Disney’s Wilderness Lodge, when completed, will be the 14th Disney Vacation Club development and the second at Disney’s Wilderness Lodge. Current plans call for the resort to feature deluxe accommodations, including waterfront cabins. In addition to the Disney Vacation Club project, other guest areas within Disney’s Wilderness Lodge are scheduled to undergo substantial enhancements and refurbishment, including new recreation and food and beverage options. More information and project details will be shared at a later date. Disney Vacation Club debuted in October 1991 with a flexible, vacation point-based model rather than the traditional fixed-week timeshare model. Since its inception nearly 25 years ago, Disney Vacation Club has grown to include member families from all 50 states and approximately 100 countries who have discovered the joys of membership. Earlier this year, Disney’s Polynesian Villas & Bungalows opened as the third jewel in the Disney Vacation Club monorail crown, offering Disney Vacation Club members and guests the opportunity to stay in Deluxe Studio villas and over-the-water Bora Bora Bungalows, which have been very well received by both Disney Vacation Club members and guests.